Political Undercurrent for Eritrea's disenfranchisement. Politics is complicated, and geopolitics even more so. Every nation has an agenda in relation to its own sovereign interests, and more often than not in the grand game of geopolitics, despite the multilateral institutions that were created to protect against the lack of balance, it is the small nations that most lose out. It is thus necessary to note that many of the complications that we see in the world today have their roots in the interests that big powers around the world, sometimes unfairly, want to secure. It is also the middle powers that step on the necks of poor nations just as painfully as the big ones step on them. In an article in this publication headlined, “The Moral Imperative to Stand by Eritreans” [No. 970, Vol. 19, December 2, 2018], https://addisfortune.net/columns/the-mo ... eritreans/ the author argued that Ethiopians should look beyond the rapprochement with Eritrea and demand a political opening in the small Horn country. "The lifting of the sanction against Eritrea by the United Nations Security Council was seen as a reward for rapprochements with neighbouring countries and a vindication of the allegations of supporting radical terrorist groups in Somalia," was how the article began. It was more than a vindication. Eritrea was innocent in that subsequent whistleblower accounts show that the sanctions leveled against the nation had little to do with the situation that followed tensions with neighbouring Djibouti. It is also very hard to believe that the lack of evidence for the alleged support given to Somalia were the reasons for the lifting of sanctions. It was all a grand game of politics, which like always a small nation was forced to pay the price for. It was a leak by WikiLeaks that most justifies this view. “[Ambassador Susan] Rice advised the group to reach agreement on a specific package of measures and counselled that the initiative would be more viable in the [United Nations Security] Council, if packaged as an African consensus proposal rather than one driven by Eritrea's estranged neighbours Ethiopia and Djibouti,” it read. It gives a crucial insight into the set of decisions that went into the vote to put sanctions on Eritrea at the time, and show that they were partisan, lacking the necessary fair play before any nation is condemned to economic disenfranchisement. To give credit where credit is due to Rice, she urged Washington, the administration of former President Barack Obama, to try and reach a settlement with the Eritrean government, then and now under Issayas Afeworki’s leadership. But this does not excuse from the fact that the United Nations was used as a tool to force the hand of a government, an incursion to the principles of the intergovernmental institution. The sanctions against Eritrea that were lifted by the Security Council after nine years should never be seen as a reward for its rapprochement with Eritrea for investigations have cleared the country of its alleged support for radical groups in Somalia. It should be considered a corrective measure for the injustice that was committed against it. The border dispute with Djibouti could not have been a reason for sanctions on its own, as there is no clear agreement to solve it as of yet. Indeed, it was a problem that could have been resolved between the two countries, at the most with support from the rest of the members of the region. Of course, although I prefer to see the lifting of the sanctions as righting past wrongs, it too has a great deal to do with geopolitics. It follows a reorientation in foreign policy by President Donald Trump’s administration toward the region, with there being a consensus that the measure was taken to counter China’s influence in the region and empower Middle Eastern powers it supports. I agree with the opinion piece that Eritreans deserve democratic rights and should be able to enjoy its fruits, such as elections and free speech, and that the government should put that on the table for its people. There is a reason to believe that this could happen now as the political situation in the country before the unfortunate and, in retrospect, unnecessary Ethio-Eritrea War was very different. Working as a journalist back then, I was witness to the positive developments in the country, which led to the drafting of the constitution. Eritrea has walked the harsh path to get to this point, biding its time until the political undercurrents turned to its favour. It kept its sovereignty, and gradually, it should begin strengthening its democracy. Re: Political Undercurrent for Eritrea's disenfranchisement. The lady doesn't know anything about Eritrea. Sorry !! I agree with you in a sense that the writer felt compelled into conforming to the convenient narratives and convenient coincidences commonly put forth by losers to discredit Eritrea by portraying its amazing victory as mere luck, or a result of events outside its control. Back in 1991 the narrative was written in a way that the hard-won Eritrean independence was attributed to the end of the Cold War. Today, the narrative is a shift in US policy towards Eritrea while dismissing Eritrea's legitimate achievements in creating the events that led to the policy change. It's worth noting that, it was 4 months before Dr Abiy ascended to premiership that President Isaias Afewerki confidently declared the end of the TPLF era. That's when we Eritreans knew that the illegal sanctions imposed on Eritrea could no longer be sustained when the TPLF regime the sanctions were meant to protect was pronounced dead with two simple yet lethal words: "Game Over!" "Hard won independence" hijacked by Wedi komarit medhin berad. Well put, short to the point observation, brother Fiyameta! Located in the Horn of Africa, Eritrea is a country where agriculture and livestock form the backbone of the national economy. More than 80 percent of its population is employed in this sector, of which the main crops include maize, barley, sorghum, wheat, beans and groundnuts. However, in the absence of advanced planting techniques, the shortage of agricultural products has always been and remains a major problem for Eritrea. The annual rate of food self-sufficiency in the country can be as low as 25 percent in bad years. 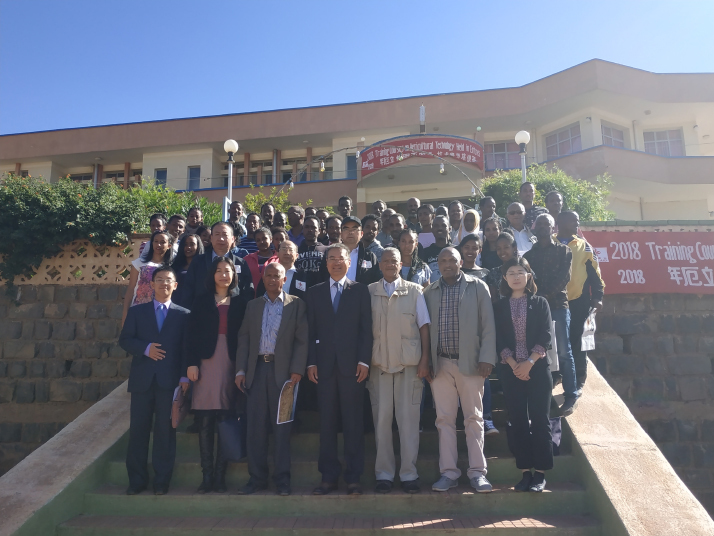 With the aim of addressing and solving this and other problems, the first Chinese training on agricultural technology in Eritrea was held at the National Agricultural Research Institute on November 29, 2018. A total of 51 officials, experts, researchers and technicians from five regions of Eritrea took part in the training, which was organized at the initiative of the Economic and Trade Office of Chinese Embassy in Eritrea, International Cooperation Service Center of Chinese Ministry of Agriculture and Rural Affairs, Ministry of Agriculture of Eritrea and other institutions. This event was one of the practical outcomes achieved by China's high-level agricultural expert group, dispatched to Eritrea earlier this year by the Ministry of Agriculture and Rural Affairs of China. Li Mei came to Eritrea on September 6, 2018, as part of the mission for a 106-day cooperation program. As the leader of this agricultural group, his goal was to help the country achieve the healthy development of its agriculture by cultivating agricultural talents and providing practical advice to local government officials. Li, a 54-year-old corn expert, was originally employed by the Fruit and Vegetable Administration of Yangling District High Technology Agricultural Industry Demonstration Zone in northwest China's Shaanxi Province. Two other agricultural experts, Luo Zhongping and Li Guofeng, both 53 years old, came with him on this busy mission. All of them were already familiar with Africa. This is the third time that Li Mei has been to Eritrea and the second time for Luo. Li Guofeng was a member of the Chinese agricultural expert group based in Ethiopia. "The reason why we came to Africa again is that we hope to use what we have learned to contribute to the development of agriculture in Eritrea and to fulfill the mission of implementing the achievements made at the Beijing Summit of the Forum on China-Africa Cooperation held in September 2018," Li Mei told ChinAfrica. As soon as they arrived in Eritrea, the three experts got down to work. First of all, they needed to conduct field research. They went to Anseba, Debub and Maekel, three important agricultural regions, to conduct research in 13 collective and private farms and exchange views with local technicians. The three experts were thus able to learn in detail about the general conditions of Eritrea's agriculture industry. 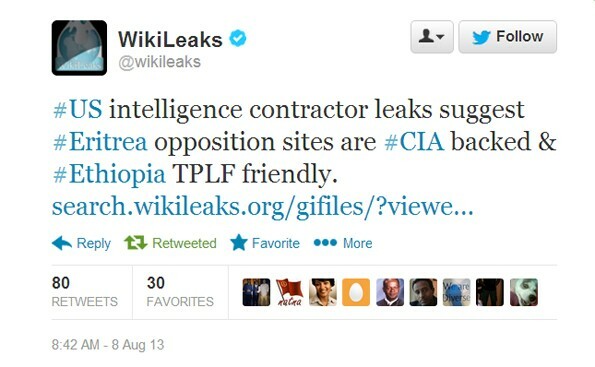 They then wrote a report that was submitted to the Eritrea's Ministry of Agriculture only 21 days after their arrival. "The report focused mainly on long-term agricultural planning, legislation and farm production. In addition, we provided advice on accelerating the legislative progress, strengthening the scientific aspect of planning and increasing investment in agricultural production," said Li Mei. The report was also approved by Heruy Asghedom, Director General of the Agricultural Promotion Department of Eritrea's Ministry of Agriculture. According to him, the report gave a good overview of Eritrea's agricultural conditions, and the advice and ideas offered are practical and will play a leading role in the development of the country's agricultural production. Following this first step, the three Chinese experts did not waste any time and started sharing their knowledge and expertise with their local counterparts. On October 8, four seminars on plant breeding, plant cultivation and horticulture were held at the National Agricultural Research Institute. 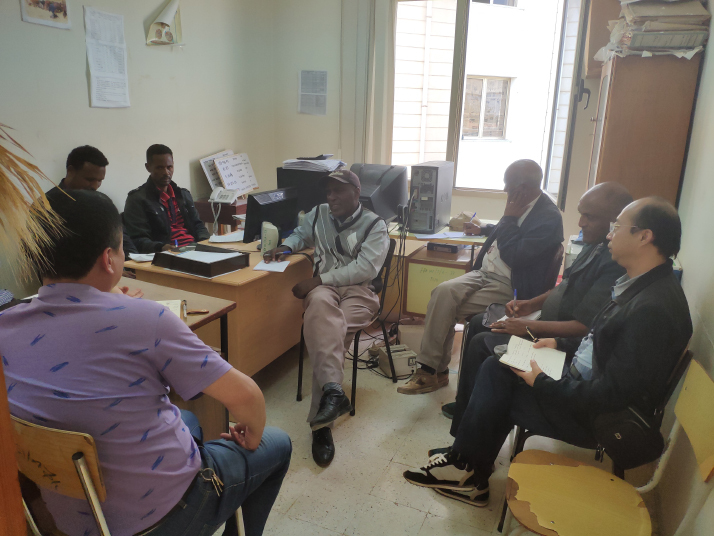 A few days later, the expert group visited the Regulatory Department of Eritrea's Ministry of Agriculture, where they took part in a seminar on the legislation of Eritrea's first national law on seeds. "We were able to understand that local officials and technicians were very interested in the introduction and application of improved seed varieties. However, Eritrea is still lacking systems and standards for this to happen, which hinders agricultural development," said Li Mei. During the seminar, Li Guofeng talked about China's approach to legislation on seeds and shared some advice and opinions on how to better manage seed producers. According to experts, the adoption of the law on seeds will be conducive to the introduction, production, cultivation and management of improved seed varieties, and will allow for the healthy development of this sector. But the main event of the agricultural mission was to be the large-scale training on agricultural technology, the first one to be organized by the Chinese Government on Eritrean soil. Indeed, as soon as they set foot in the country, the three experts began preparing for the training. After more than 80 days of hard work and preparation, the training event officially began on November 29. According to Li Mei, the training covered a wide variety of topics, including the overall conditions of China's agricultural development, high-yield cultivation techniques for wheat, maize, oilseeds, beans and vegetables, as well as the film mulching technology. "We hope to contribute as much as we can to developing local talents, in order to promote agricultural development in Eritrea," said Li Mei. At the opening ceremony of the training course, Bereki Teklem, Director of the Crop and Livestock Office at the Agricultural Promotion Department, said that the scale of the training showed the extent of the friendship between the two countries. He hoped that it will give an even stronger boost to Eritrea's agricultural development. In his speech, Wang Lipei, Counsellor of the Chinese Embassy in Eritrea, presented the achievements made by the two countries as a result of their bilateral cooperation in recent years, and took great pride in praising the excellent work of the agricultural expert group. "China has achieved remarkable results since its reform and opening up, particularly in the field of agriculture. China is now able to feed a very large population with a relatively little amount of arable land, and its successful experience deserves to be studied. I learned many applicable and practical techniques during the training," said Okbai Mebrahtom, one of the participants. "Although this program lasted only 106 days, and despite the various difficulties that we had to overcome, I hope that our efforts can contribute to Eritrea's agricultural development and to the friendship between our two countries," concluded Li Mei. Last week, it was revealed that Eritrea’s Ministry of Foreign Affairs, located in Asmara, the country’s capital, would be summoning the British Ambassador. Although this development was precipitated by the recent highly provocative and questionable comments made by a BBC Tigrigna Language Service program journalist in regard to Eritrea, the country’s Ministry of Information noted that the problem was, in fact, much deeper and extended beyond the latest remarks. The recent series of events raise many interesting points of discussion. Here, I will briefly touch upon a few. First, as was alluded to by a series of tweets made by Eritrea’s Minister of Information last week, the problem is much larger and deeper than a few recent ill-advised comments. The fundamental issue is that for years, much of the mainstream and Western media (including the BBC) have chronically misrepresented Eritrea (as well as many other countries in Africa and the Global South), either distorting or demeaning its narratives, or omitting them entirely. 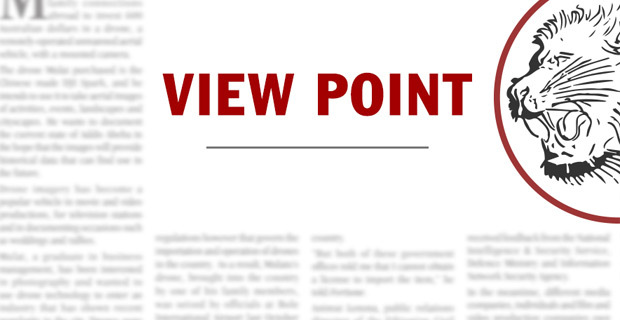 Quite often, biased reports and stories, over-report, sensationalize, or exaggerate “negative” aspects about Eritrea and underreport challenges, ignore context, and downplay, dismiss, or overlook “positive” developments in the country. The coverage about Eritrea has often reinforced misguided and outdated views and perspectives that Eritrea is a savage, backward country, full of problems and in need of a Western savior. For many consumers, the media’s long history of poor coverage has undermined much of its credibility, legitimacy, and authority. Of course, it is difficult to overlook the fact that the £289 million expansion was financed by the British government, reportedly to advance “UK soft power and foreign policy”, thus making the BBC a medium of foreign policy, and that the launch was a part of renewed efforts to promote the UK’s political, commercial, and other interests around the world. In terms of the BBC Tigrigna Language Service program, it quickly became clearly apparent that the main purpose of the launch was, in fact, to undermine Eritrea and provide protection and support to the TPLF-led regime in Ethiopia, which was confronted with mass protests and dissent across the country. Almost from the moment of its much-heralded launch, the BBC Tigrigna Language Service program has been characterized by poor coverage of Eritrea and the general surrounding region. Reports on key issues have often been heavily biased and are regularly full of basic, factual errors. Additionally, over the past several months, as peace and cooperation have finally begun to emerge in the long troubled Horn of Africa region, the program’s journalists and analysts have regularly made incendiary and provocative remarks, pushed conspiracy theories, and often helped to perpetuate hate, violence, or discriminatory intolerance. Unfortunately, however, over the years the BBC’s response to its audience’s persistent criticisms, concerns, and calls for better coverage has been lackluster and woefully inadequate. While the BBC describes itself as providing impartial, independent, and international information, news, and analysis, its practices and coverage continue to raise significant doubts about the accuracy of that description. In many ways, its practices and coverage are actually directly contradictory to and completely divorced from the principles and values that it professes to champion and uphold. Moreover, it is also reasonable to ask why the BBC does not clearly denounce and disavow – or at least significantly distance itself from – the incendiary and dangerous comments that have been expressed by its journalist. Is this “high quality, accurate, impartial news coverage,” which is one the 5 “public purposes” of the BBC, as set out by the Royal Charter and Agreement that is the constitutional basis for its existence? Although I firmly agree with Woodrow Wilson’s idea, famously expressed during his address at the Institute of France in Paris in 1919, that, “if a man is a fool, the best thing to do is to encourage him to advertise the fact by speaking,” it is also extremely important that harmful, inflammatory, hateful rhetoric be unequivocally and emphatically denounced and rejected. As noted, the Horn of Africa is only now taking the first steps in emerging from a long, dark period that was characterized by terrible violence, intolerance, and tension. At this stage, we all have a great responsibility to do our utmost to work for peace and support cooperation and reconciliation. Surely, the BBC should not be emboldening and enabling the forces of hate and division at this critical juncture and promising moment for the Horn of Africa. It would also serve us well to keep in mind the fact that there are numerous recent cases, such as in Rwanda, Kenya, and South Africa, to name only a few examples just from the continent of Africa, illustrating how the media, news outlets, and various platforms can be used to fan the flames, promote hatred, amplify tension, and incite significant conflict and violence. Another interesting point raised by the recent developments has to do with double standards. Specifically, months ago, when peace and cooperation between Eritrea and Ethiopia were first beginning to unfold, some Western journalists and analysts chided Eritreans and Ethiopians that were expressing negative sentiments towards the TPLF. Without condoning any of those sentiments, it is imperative to recall that many of those individuals had directly suffered abuses and injustices perpetrated by the TPLF. When those Western journalists and analysts presented their criticisms, they packaged them as a part of alleged concerns about the potential for renewed violence and the possibility of reconciliation between Eritrea and Ethiopia (and the latter’s various ethnic-based states). However, the question is where are those commentators now? Why are they not now denouncing the highly troubling and dangerous comments that have regularly been expressed by public figures? While the early January period is traditionally one where individuals and organizations around the world commit to doing things differently and resolve to make changes, the BBC, unfortunately, seems to be persisting with its poor old habits. Dr. Samuel Mahaffy was born to an American family in Asmara on August 21st, 1952. He grew up in the beautiful small town of Senafe. His childhood, much of which was spent in the diverse communities of Eritrea, shaped his identity. Dr. Samuel lived his life to honor his Eritrean people and history. Far away from home, in the US, where he raised his family, Dr. Samuel carried his Eritrean traditions and values with pride. In his heart, he reserved a large space for the place he called home and the people he saw as family, Eritrea and its people. As per his request, Dr. Samuel Mahaffy was recently laid to rest in Senafe, where he spent much time as a child. He even referred to himself as “wedi-Senafe” (son of Senafe). His wife, Renee Durdaana, and three children, Sylvan, Kamila, and Hanna, recently arrived in Eritrea to lay his body to rest in Senafe. Today, we reflect upon the life of Dr. Samuel Mahaffy with his family. “Samuel was an incredibly kind and loving being and he always reminded us to live from our hearts. He grew up in Senafe, living there until he was fourteen. His mother home schooled him and he would often finish his assignments early, so that he could go to the mountains of Senafe. I feel like the landscape of Eritrea and the beauty of Eritreans, were a big part of him. We met in 1990. And I think that it was in 1993, that he started to deeply reconnect with his Eritrean roots. When we were married, he wore traditional Eritrean chama (shoes) in the wedding. It was outside by the lake and he even made sure that he spread lots of straw, so that it would be more traditional. His connection with the Eritrean diaspora community in Seattle, increasingly grew over the years. He did a lot of grant-writing for the Eritrean community, attended various events, and he would meet with the Eritrean community at least once per month. He also loved Twitter, because it allowed him to connect with the world and advocate for Eritrea. His PhD was in Social Constructionism, which basically looks at how we construct our reality. He felt that Eritreans had been “constructed” incorrectly and negatively by the world’s media and press and so his mission was to find facts that were inaccurate or didn’t portray the Eritrea he loved and to challenge them. His goal was to correct those things. I remember one day, I came home from work and he had found a statistic on the WHO website that was incorrect. So, he contacted them and asked them to change it. He really worked hard to change the narrative of Eritrea, in the world. He was also a peacemaker. He felt like Eritrea had lessons to share with the world. According to him, it had much to give the world. He loved the religious harmony and the tradition of sharing meals. He grew up in a community with a “narrative” culture, so he was a storyteller. Everything from his childhood became, later, a part of stories that he would tell the kids. They also often had a lesson or a moral. “For me, the biggest lesson was embracing community from different backgrounds and cultures. We grew up having these big meals, with twenty to thirty Eritrean friends in our house. My father considered every Eritrean as a part of his family and so I think that model is what I cherish the most. He showed me how to embrace cultures. I knew little about Eritrea, before coming here. But now we went to Massawa and to Senafe and we learned more about Eritrea. Before coming here, the main way that I connected with Eritrean culture, was through the food. When we were young, our father learned how to make Eritrean food and injera. He taught himself and then he taught our brother and Hanna and I, how to make Eritrean dishes. He believed that making injera, is a spiritual process. He was a very optimistic and hopeful person. He always found a bright side to everything. He was a very kind and loving father. I never felt like he quite fit with the “typical” father image in America. He was very involved in our lives. My perception is that this, and much more of who my father was, is something he acquired from the Eritrean culture. “Growing up, we heard a lot of stories about Eritrea and Senafe. Through the stories and the interactions with the Eritrean people in Seattle, we saw how important the relationships my father always talked about were. And he really set a model for us, on how to sit down with strangers and find common ground and build a relationship. My father built longstanding relationships with Eritreans. That is what I am trying to do. I feel like he challenged the male stereotype that is prevalent within American society. He cooked food and did many activities in the household, which are normally considered as the role of women. He didn’t care about societal expectations and just followed his heart. He was so good at connecting with people, as well as his family and friends. In the culture that we grew up in, men don’t feel like they can have deep emotional connections. But he was extremely different. He was capable of exchanging all sorts of dialogues, be they philosophical or other. We laid him to rest in the “Mountain of the Cross” [Metera], as he called it. That was where he used to climb as a kid. It felt right. And, I think it is important that we came here. Seeing how many people came for the service and the respect we are getting from the Eritrean people is a deep honor. It is an honor, for his many years of work and devotion for Eritrea. It shows that he is appreciated and respected by his people. Cultural heritage plays an invaluable role in the existence and development of a society. Historical memory and a proper attitude towards cultural heritage significantly influence the personality and identity of humans. Monumental edifices, architectural structures, inventions, and other products of human ingenuity, such as folk music, oral literature, and art, stimulate enjoyment and embolden reflections. Observations of flora and fauna and inanimate objects can arouse admiration and provide a sense of wonder. A number of issues arise during discussions of law and cultural heritage. Law is often treated as evidence of the development of humankind and an element of cultural heritage. Within social groups, law also reflects what is acceptable and unacceptable. The right of access to cultural goods and the protection of cultural heritage are some of the key aspects of law and rights of humanity. Numerous regulations concerning the protection of cultural and natural heritage have been established, both at the national and international level. The discourse of cultural heritage relates to the ways people recognize and appreciate culture. This becomes crucial since heritage is constructed in multiple ways. In this respect, various agents recognize the cultural significances of a heritage object in different ways. At the international level, United Nations Educational, Scientific and Cultural Organization (UNESCO) and International Council of Monuments and Sites (ICOMOS) support the recognition of cultural heritage through international conventions. These conventions are essential for developing a common framework for protecting and promoting cultural heritage. The international conception of heritage legislation, needs to be congruent with local realities and philosophies of different countries in order to ensure proper management and protection of cultural heritage. Many countries in Sub-Saharan Africa, inherited their cultural heritage legislation from the colonial period. These regulation systems were influenced by or forged during the colonial era, thus making the process of heritage management complex. It is vital to harmonize the generic concept of cultural heritage with values perceived by local people and their traditional philosophies and the realities. Cultural heritage management and the development of heritage legislation are a dynamic, evolving process that should adapt to changes and challenges. In 1993, after Eritrea proclaimed its sovereignty, it joined several international organizations, such as UNESCO, and it also signed several important international documents, including: the 1972 Convention concerning the Protection of World Cultural and Natural Heritage (in 2001); the 1954 Convention for the Protection of Cultural Property in the Event of Armed Conflict with Regulations for the Execution of the Convention (in 2004); and the 2003 Convention for the Safeguarding of Intangible Cultural Heritage (in 2010). It is worthwhile pointing out that Eritrea has a long, eventful, rich history, an abundance of natural and cultural resources, and a great diversity of cultures. Its cultural and archaeological resources are closely associated with the locality of each region and landscape and they cannot be separated from the values perceived by local people and their traditional philosophies. In this respect, there is a need to harmonize the local perspectives with international agreements listed above. The development of cultural heritage management in the country, begun after independence, and the signing of important international conventions has influenced the way Eritrea has formulated its conceptions of cultural and natural heritage, such as its Cultural and Natural Heritage Proclamation 177/2015, which was proclaimed on September 30th, 2015. Different drafts of the legislation were prepared prior to the announcement of the Proclamation and the post-independence era presented an opportunity to shape heritage conception and legislation in line with the local reality and context. The discourse of cultural heritage is, to a large extent, understood from the principal components of the Proclamation, which provide a contextual framework regarding the global and local context of cultural heritage. The Cultural and Natural Heritage Proclamation 177/2015 addresses various issues, from integrated systems for the identification, registration, documentation, monitoring, administration, conservation, protection, safeguarding and preservation of heritage resources to control of the illicit transfer, export, or transport of heritage materials. The Proclamation also addresses the protection of the cultural heritage of Eritrea from all kinds of damage and hazards, the dissemination of information and research on resources, and the effective involvement of government institutions and the public. As well, the Proclamation defines what constitutes cultural heritage in Eritrea, outlines administrative and management schemes, and notes the different processes in heritage management. It also outlines the specific guidelines related to ownership, repatriation, and research, and details the sanctions to be taken for violation of the Proclamation. The Proclamation also presents guidelines related to the management of sites and monuments, movable heritage, and the intangible aspects of our heritage. While the Proclamation forms the primary basis for the conception of cultural heritage management in legislative terms, a number of changes and reviews will be needed due to limitations and changes in the administrative and management framework. Heritage legislation is not static. It should evolve and adapt to changing realities and different contexts. Proclamation 177/2015 is subject to review and amendments, when required, can be implemented in order that it fits the Eritrean context in the future. Around the world, national heritage is considered important. It has been at the center of many regulations and laws. Generally, these aim to identify and register natural heritage, in addition to protecting and preserving it. Laws and regulations are the first steps for preserving and protecting a nation’s natural and cultural heritage. Cultural heritage legislation is also especially important because of its significant contribution to the intellectual, economic, and social development of a nation. In consideration of these various factors, cultural heritage legislation that is aligned with the local reality and context is of fundamental importance. "ድሕሪ ማይ ኣብ በዓቲ ናይ ወያነ መዝሙር ሰላም"